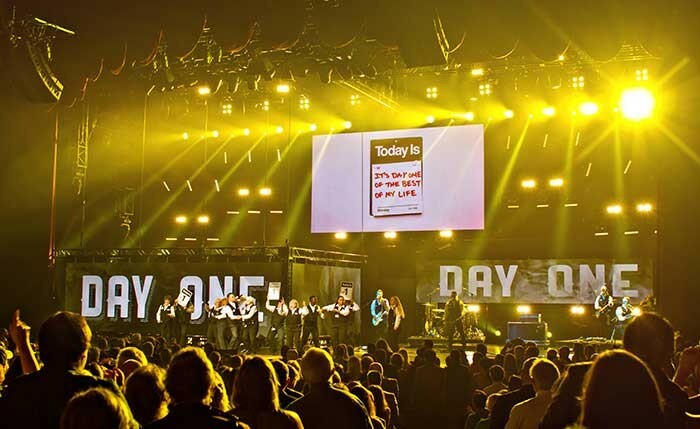 USA – With winners chosen by the fans, the K-LOVE Fan Awards brings together the biggest names in Christian music, sports, books and movies. 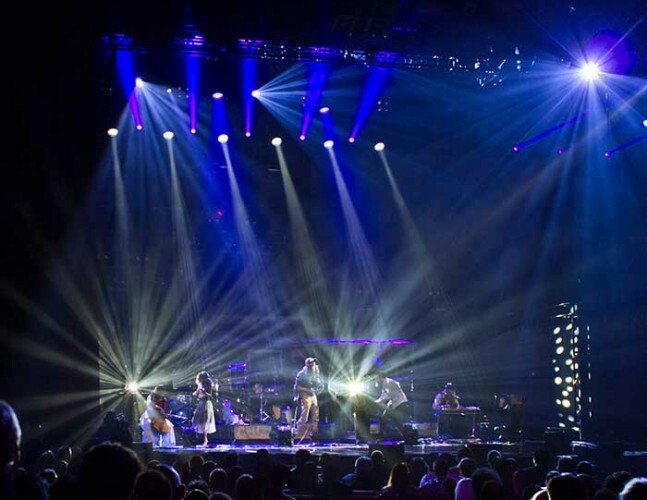 Held at the Grand Ole Opry House, the annual awards show is produced by Go Live Productions and each year has grown in both size and popularity. 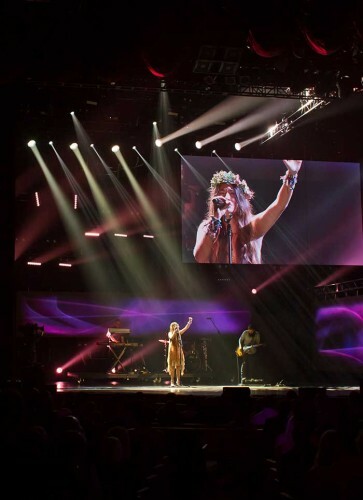 Overseeing the production is production manager and show director Scott Moore who strives to capture the spiritual significance of the evening through a dynamic yet functional lighting and video package which was supplied by Elite Multimedia. 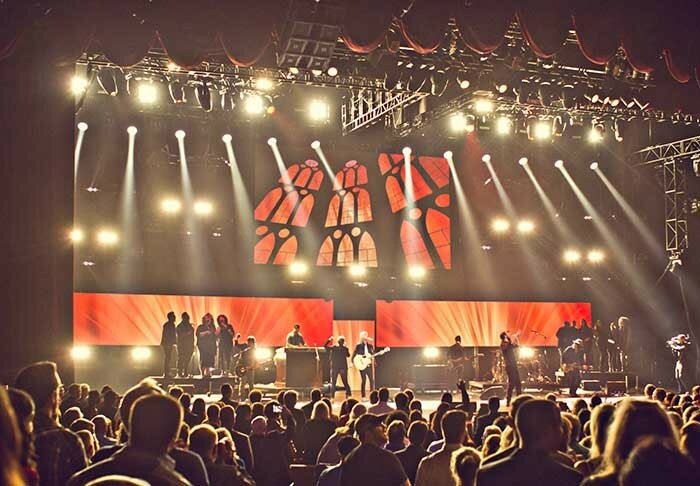 Before the K-LOVE Fan Awards can take the stage, Moore and the production team must first work around a very tight load-in and technical rehearsal schedule built around the concerts taking place at the Grand Ole Opry. 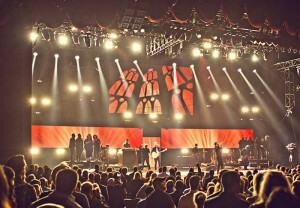 There is little margin for error and the gear supplied by Elite Multimedia must be ready to perform at a very high level. Understanding the technical challenges, Elite Multimedia supplied the K-LOVE Fan Awards with a lighting and video package that included grandMA lighting consoles, Ayrton Magic Blade-R fixtures, Philips Vari-Lite VL3500 Wash FX, VL3000 Spot and VL3015LT Spot luminaires, Clay Paky Sharpy, Sharpy Wash, Mythos and K10 B-Eye luminaires, Robe Robin CycFX fixtures, Showline SL NITRO 510 LED strobe luminaires, Elation 2Lite Cuepix and 4Lite Cuepix Blinders, MDG High Output Hazers, Tyler Centerline Truss with CM Lodestar motors, along with PixelFLEX FLEXCurve 8mm LED tiles and PixelFLEX SU-401 LED Controllers. 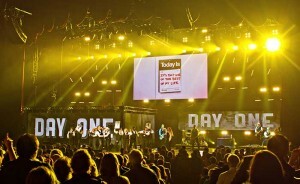 With the lighting and video gear list finalised, Moore and the production team got to work on the weekday load-in, weekend load-out and final production load-in to bring the awards show to life. During this time it was crucial to make every moment count, and thanks to the talented technicians at Elite Multimedia, not a moment was wasted and the third Annual K-LOVE Fan Awards was a tremendous success.